A family pic from when we picked out our Christmas tree. It was the coldest day of the year and all of the trees were full of ice. We found a good one and have been enjoying it so much - and it still smells good! We were able to sneak away for a little overnight date night with our best friends down on the Plaza for a little birthday/holiday celebration. We ate at Gram & Dun (outside by the fire! ), strolled the streets, and enjoyed kid free time. Ever thankful for grandparents who watch our kids overnight. We missed the holiday lights tour on the bus this year, but we did a tour of our own one night in PJ's with Grandma and Grandpa in tow. Christmas Place in Overland Park is a small neighborhood with a great display. This year they had a Salvation Army donation bucket in one of the cul-du-sacs. What a great idea! 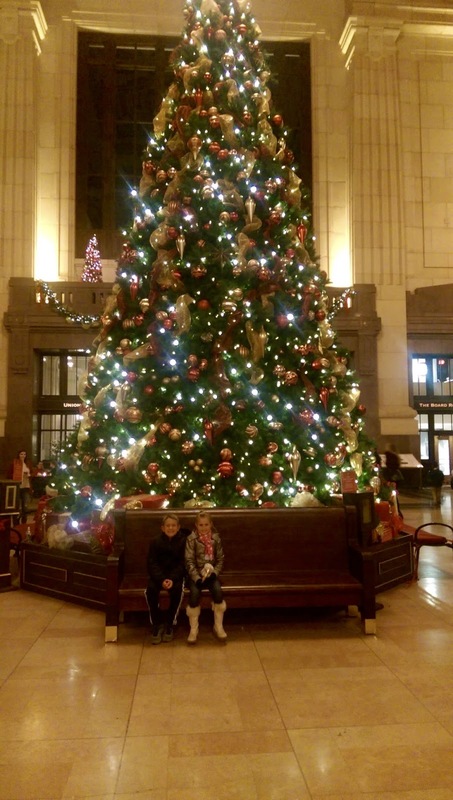 We had never been to Union Station at the holidays and it did not disappoint in the beauty department. Union Station is one of the places that just puts off good vibes. I just love it. 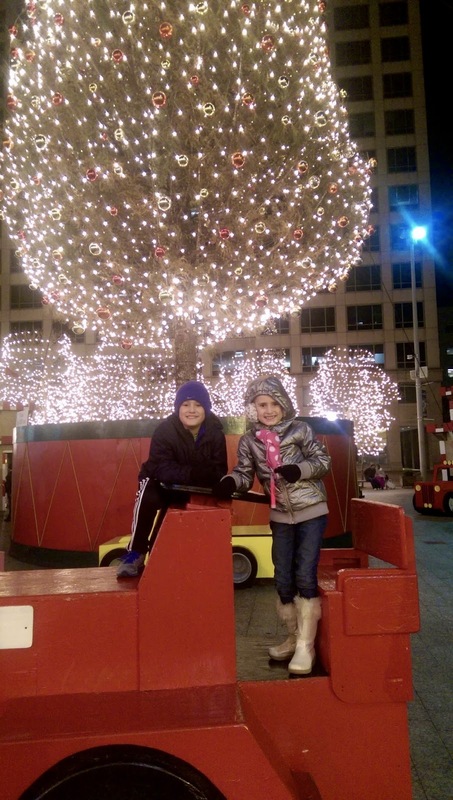 That same night, we saw the Governor's tree at Crown Center. 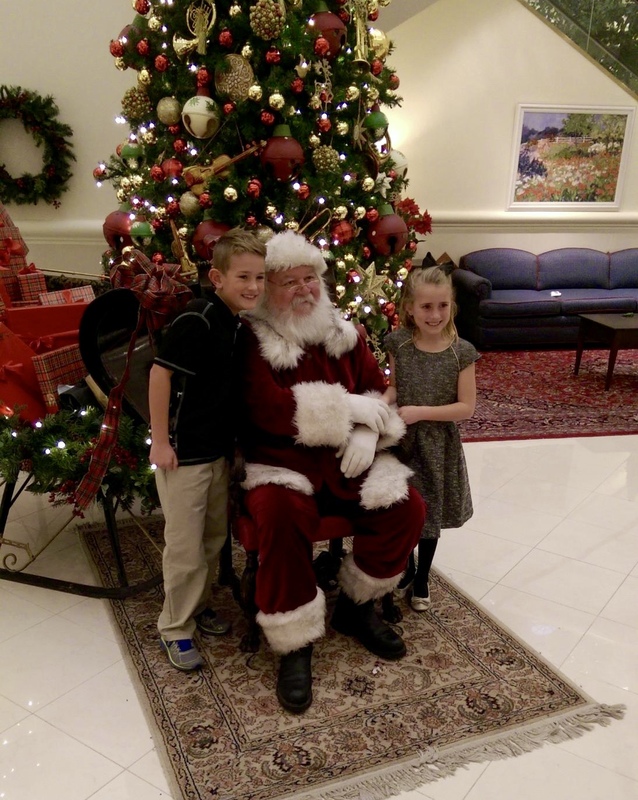 Our kids love busting out of the suburbs, especially this time year. And while the boys were at Star Wars, the girls made and served food at a local women/children's shelter. The shelter was hosting a Christmas party for their residents and we were lucky enough to share in their excitement by serving. Kate was a rockstar and is already asking when we can help again. This was my favorite thing we did this December. Our hearts are full. We also decided this month that we would be taking a 10-day road trip to California over Christmas break!! 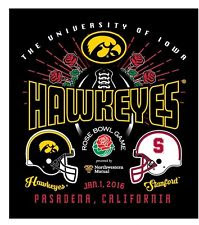 Our beloved Iowa Hawkeyes are heading to the Rose Bowl and we are heading there too! Sounds like the perfect December and Christmas so far. Beautiful memories.